Great Things to Do When Visiting Downtown Los Angeles! Things to Do When Visiting Downtown Los Angeles! One thing that makes Downtown Los Angeles so great is that there is so much to do and see in this beautiful and diverse city. Here are just a few examples of some fun things to do in Downtown LA while you’re staying by STAPLES Center and nearby. If you love music, take a visit to the Walt Disney Concert Hall – one of the most acoustically sophisticated music halls in the entire world! This is also the home of the Los Angeles Philharmonic. If you can, try and see a concert at the theater for unparalleled music experience. If not, tours of the concert hall are also available. If museums are more your thing, come and check out MOCA, the Museum of Contemporary Art in Los Angeles. MOCA was founded in 1979, and the collection includes over 6,800 pieces of art from 1940 to today. Visit their official website for hours they are open. 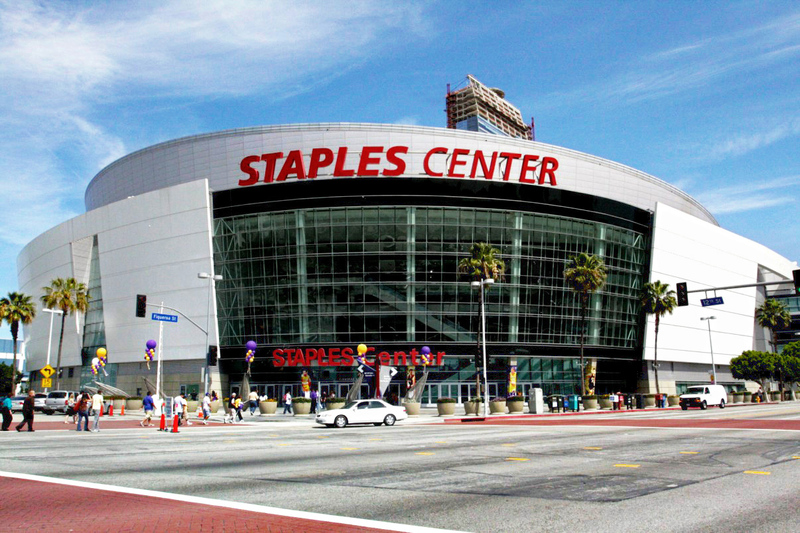 The STAPLES Center is one of the leading entertainment and sports centers in the entire world. It is the home of NBA’s Lakers, Clippers, NHL’s Kings and WNBA’s Spark. In addition to all of these home games being played at the STAPLES Center, there are also countless concerts that are held at this incredible arena. Artists such as Taylor Swift, The Rolling Stones, Paul McCartney, Kanye West, Beyoncé, Garth Brooks and many more have played here. While you are here, visit the official website to see the calendar of events to either look at a sports game or a fun concert! The Dorothy Chandler Pavilion is the largest and first theater of The Music Center. Built in 1964, the building has five stories, 78 crystal light fixtures, and three incredible chandeliers that are made from 24,000 individual pieces of crystal brought from Munich. The Dorothy Chandler Pavilion is an incredibly beautiful space and is now the home of the LA Opera, although dance concerts are also held here from time to time. Come and enjoy a night at the theatre at the Dorothy Chandler Pavilion! Don’t forget to check out the Million Dollar Theatre, a historic site that was built in 1918. This theatre hosts a variety of events every month. Visit the official website to see what’s happening now.